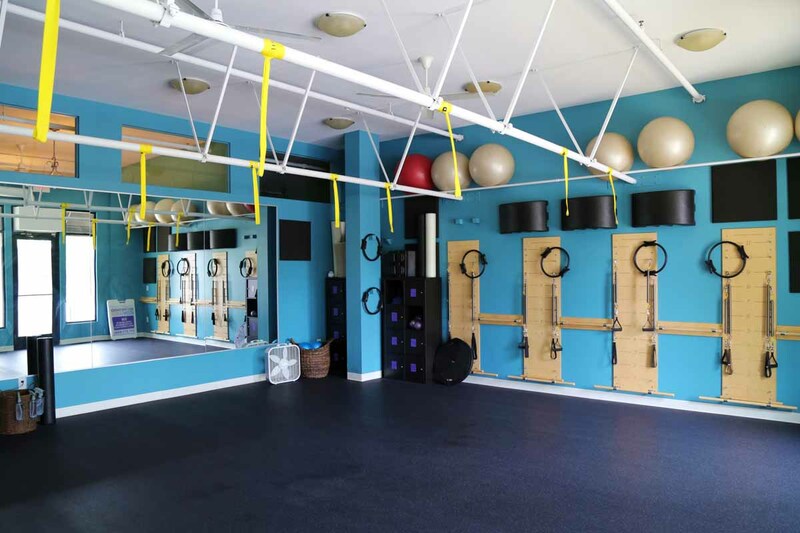 Located in Carmel Indiana, our spacious studio is clean, bright and inviting. Clients look forward to coming into Reforming Indy and working out together because of its welcoming, and positive atmosphere. It is a space where you can drop your shoes, socks and stress at the door and come out feeling revitalized and energized. The studio itself was beautifully designed with hardwood floors throughout and quality finishes. 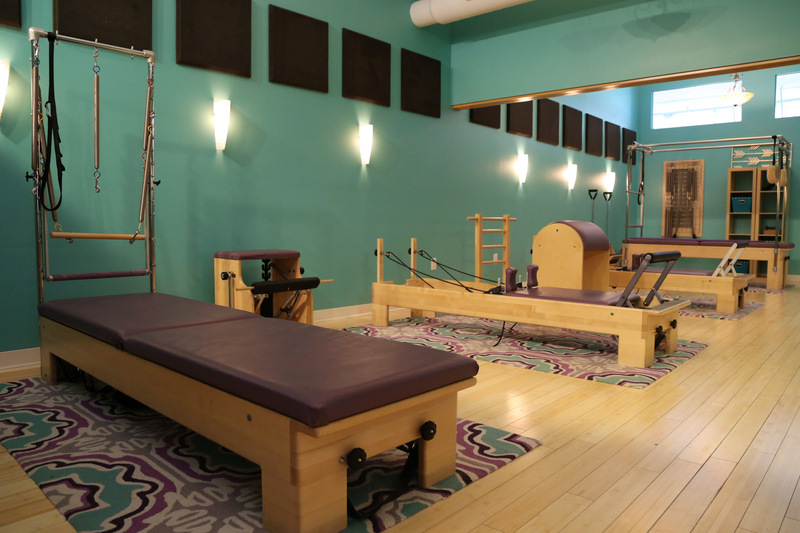 The equipment is the industry leading balanced body apparatus including the studio Reformers and Cadillac for private sessions in Studio A and B. The private studios can be separated by a partition for privacy when required. 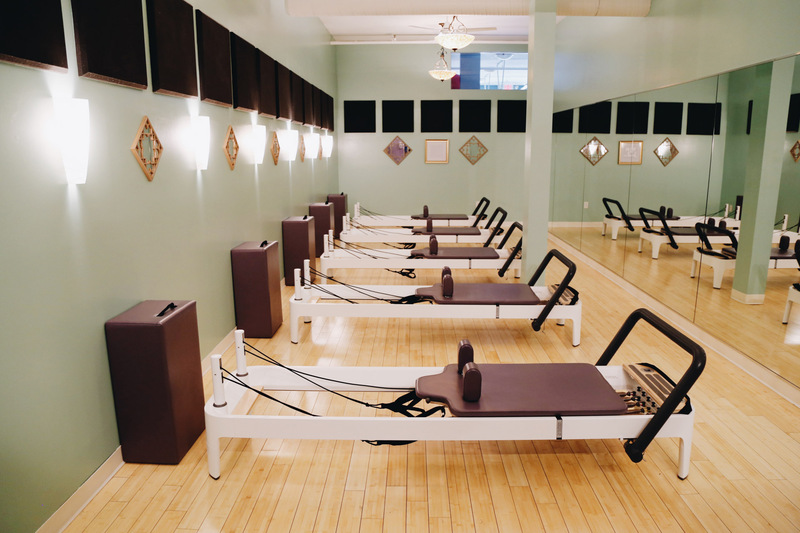 Our reformer classes are limited to 6 students. The studio is open with high ceilings and mirrors. The spacious layout allows for ample room between reformers and the professional sound insulation makes following the instructor’s voice easy. This wide-open studio is great for multiple types of classes. The full wall of windows allows wonderful natural light into the room!